Before introducing the card, Apple CEO Tim Cook shared a few numbers about Apple Pay. This year, Apple Pay will reach 10 billion transactions this year. By the end of this year, Apple Pay will be available in more than 40 countries. Retail acceptance of Apple Pay is always growing. In the U.S., 70 percent of businesses accept Apple Pay. But it’s higher in some countries — Australia is at 99 percent acceptance for instance. But let’s talk about the Apple Card. After signing up, you control the Apple Card from the Wallet app. When you tap on the card, you can see your last transactions, how much you owe, how much money you spent on each category. You can tap on a transaction and see the location in a tiny Apple Maps view. 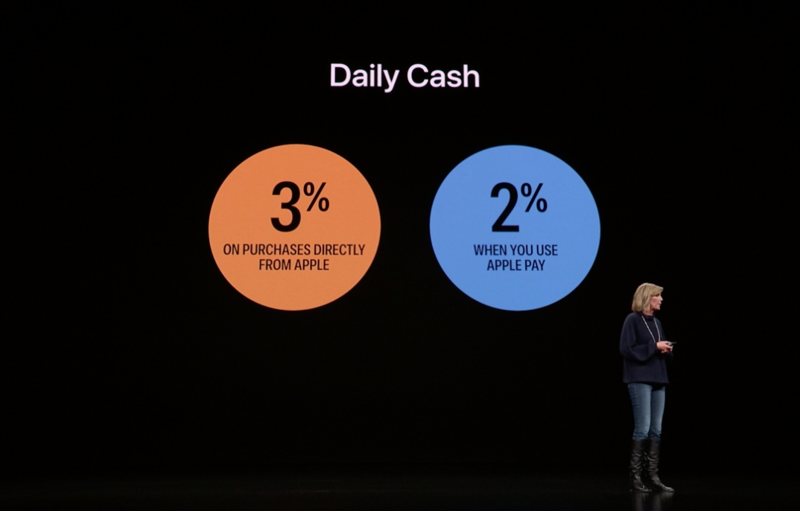 Every time you make an Apple Pay transaction, you get 2 percent in cash back. You don’t have to wait until the end of the month as your cash is credited every day. For Apple purchases, you get 3 percent back. As previously rumored, Apple has partnered with Goldman Sachs and Mastercard to issue that card. Apple doesn’t know what you bought, where you bought it and how much you paid for it. And Goldman Sachs promises that it won’t sell your data for advertising or marketing. When it comes to the fine prints, there’s no late fees, no annual fees, no international fees and no over-limit fees. 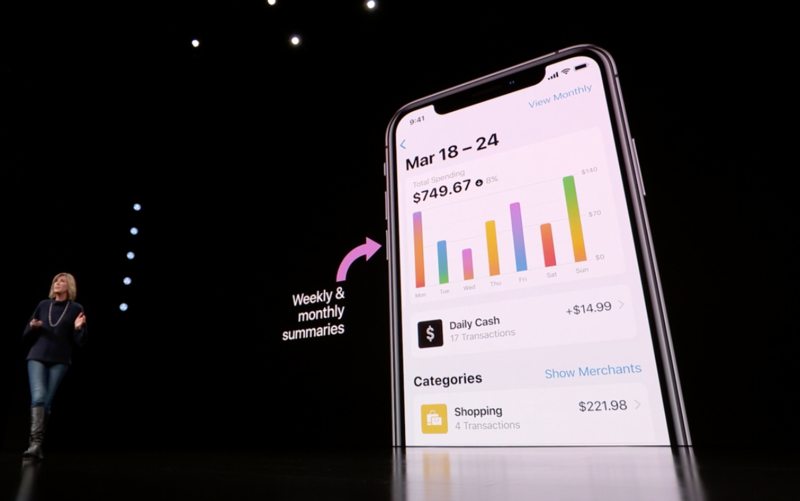 If you can’t pay back your credit card balance, you can start a multi-month plan — Apple tries to clearly define the terms of the plan. You can contact customer support through text messages in the Messages app. When it comes to security, you’ll get a different credit card number for each of your device. It is stored securely and you can access the PIN code using Face ID or your fingerprint. More details on security in our separate post.